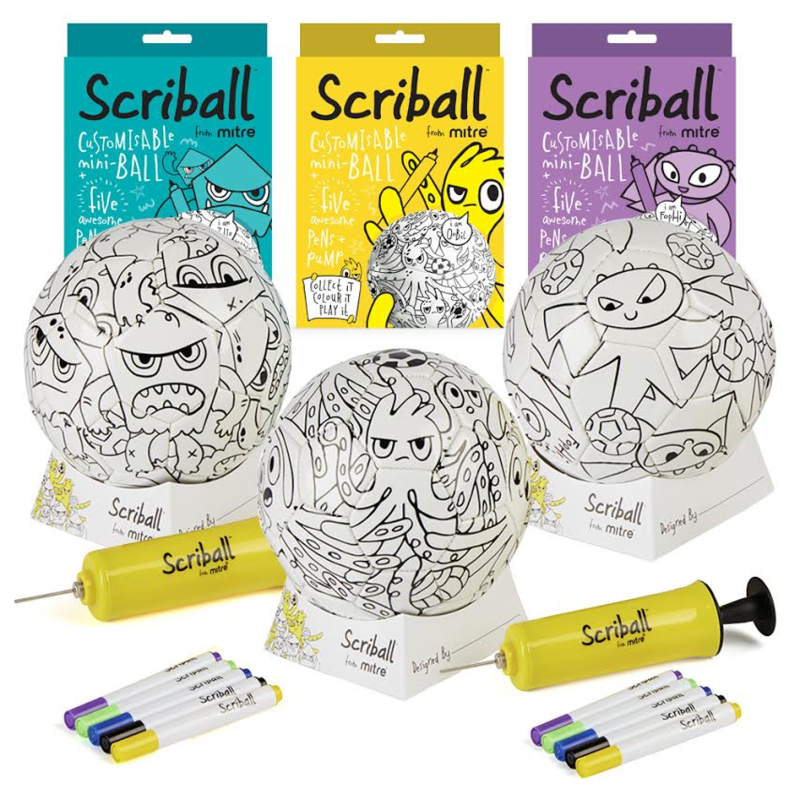 SCRIBALL: COLLECT IT, COLOUR IT, PLAY IT! Scriball, a unique and fun new gift from football experts Mitre, is guaranteed to bring a twist to this year’s Christmas (and birthday!) gifting. Not just any football, it won’t only have your kids kicking and throwing it, their creative juices will be flowing too, as it includes everything they need to decorate and create their very own keepsake ball. There are three Scriballs to collect with different cartoon characters – Ooodles (the goalie), Zoids (the defender) and the Floopz (the strikers). Each comes in a colourful easy to wrap box that includes a mini pump and set of five funky felt tip pens. It even includes a stand to proudly display your finished ball. At just £10 each, Scriball is the perfect stocking filler and is available now at mitre.com.